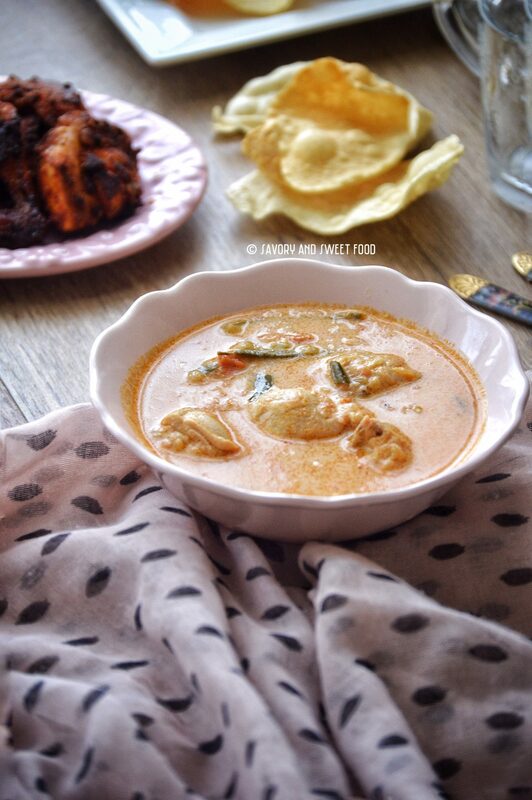 Chicken vella curry is a very light and soothing curry. It doesn’t have any masala in it but still the gravy is full of flavors. It goes superbly well with ghee rice. 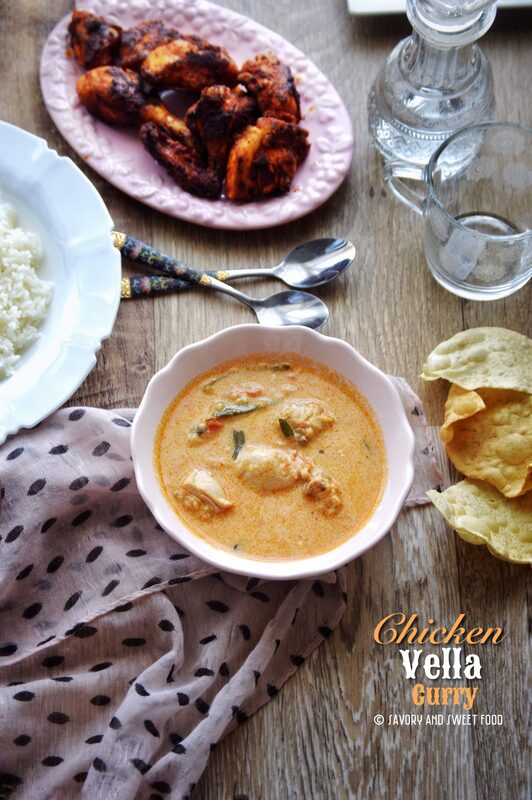 After I fell for my Husband post marriage, the second thing I fell for was this Chicken Vella Curry. 😉 😀 This is a traditional curry made in Fadal’s house. I remember, this curry along with ghee rice was the first lunch I had from Fad’s place. It was amazing. The curry, the combination with ghee rice and chicken fry….oh my God..words can’t explain how fantastic it was. This is the most preferred Friday lunch option in my house now. 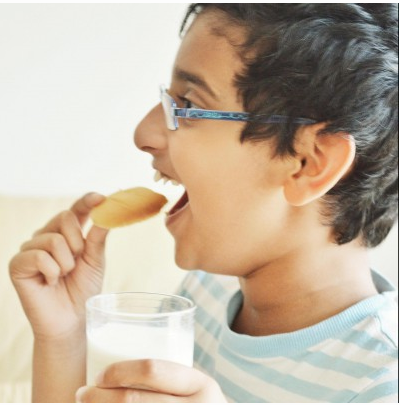 Hamad eats it too without any fuss. What I like the most is that this curry is very light on the stomach. There are no good pictures for this as this was my Friday lunch and both daddy and son was waiting to dig into this. 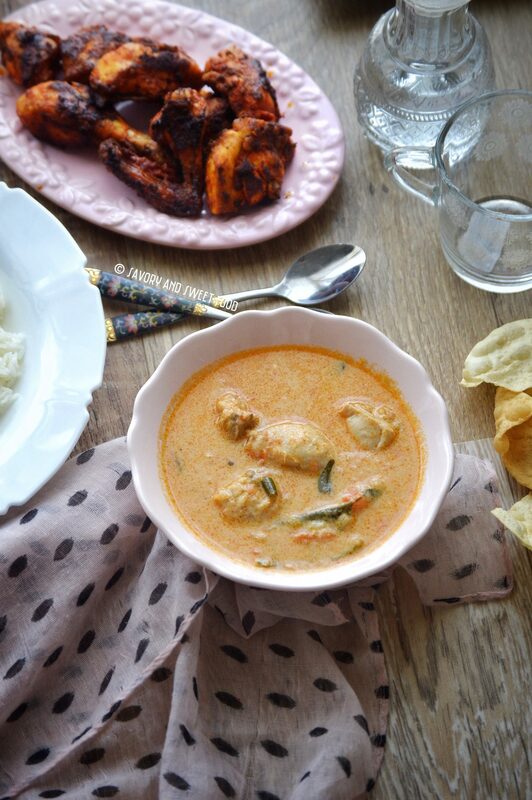 But seriously this is one awesome curry, please do make it. Instead of the coconut milk powder you can use freshly squeezed coconut milk. 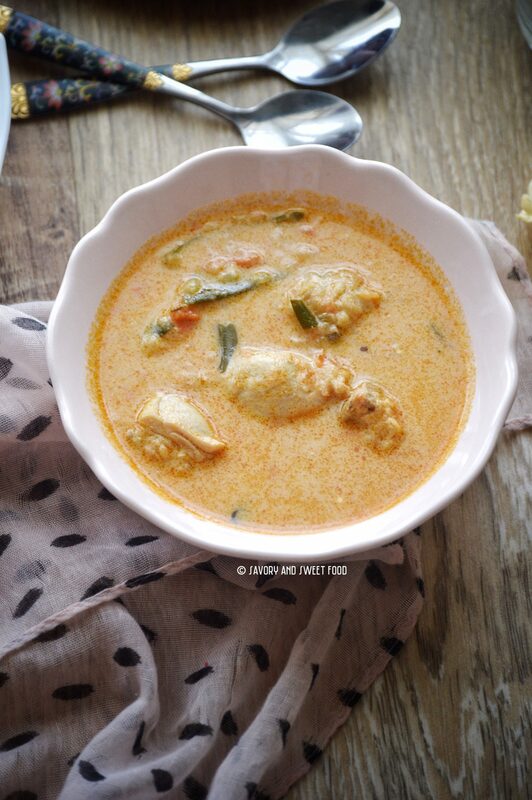 This curry goes extremely well with ghee rice. It goes well with vellapam too. In a pressure cooker (or normal pan) pour in the oil. Once it heats up, add in the onions and salt and saute till onions turn soft and browned. Add chopped tomato and sauté well till it turns mushy. 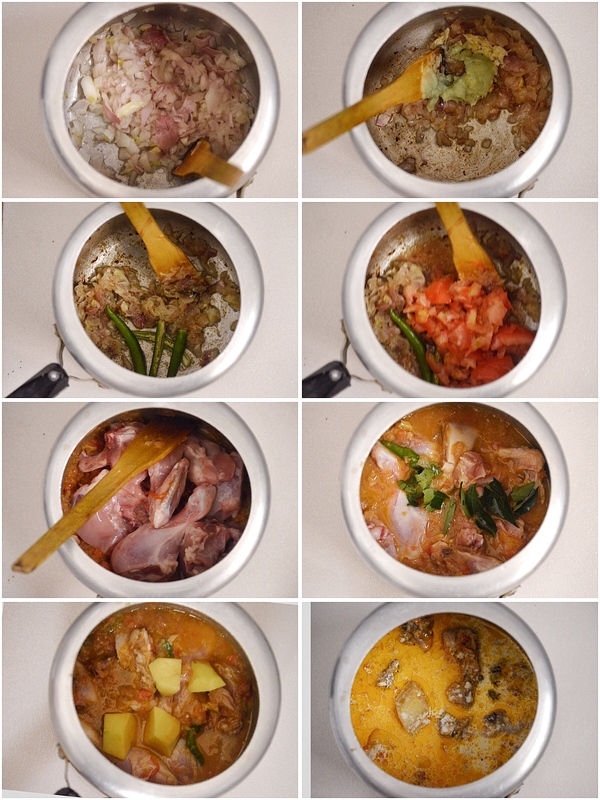 Drop in the cleaned chicken pieces and curry leaves. Pour 1/2 cup water and add the potato. Check for salt and close the cooker lid. (If not using cooker, cover the pan and cook for 15-20 minutes till chicken is cooked through). On high heat let the cooker whistle blow out once, then reduce heat to low and cook for 5 minutes. Switch off flame and let the pressure release completely on its own. Open the lid. Mix together the coconut milk powder and flour in 1/4 cup warm water (make sure there are no lumps). Pour this into the curry and let it come to a boil till gravy thickens stirring frequently. If the gravy is too thick, add 1/4 cup more of water. tried this out and it came out brilliant! !